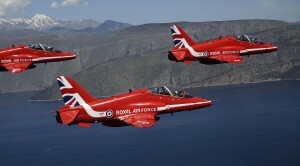 The Royal Air Force Aerobatic team The Red Arrows have deployed to Andravida in Greece to begin Exercise Springhawk. 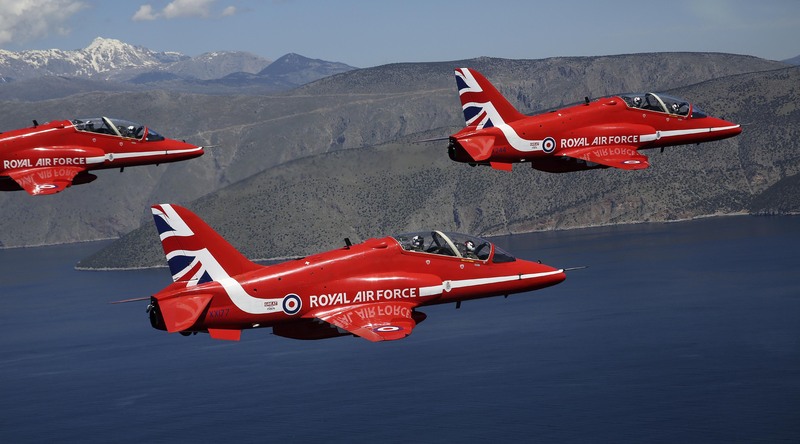 The exercise runs from the 19th March until 05th May in Greece, and will consist of the Red Arrows performing their 9 ship display three times a day over various datums in order fir the display to meet the high standards expected for the display season. The end of the exercise will be marked by the pilots being awarded Public Display Authority which will allow them to display in public and wear the iconic red suits.These images show the Rad Arrows during a transit flight toTenagra Airbase where the remainig time will be spent.